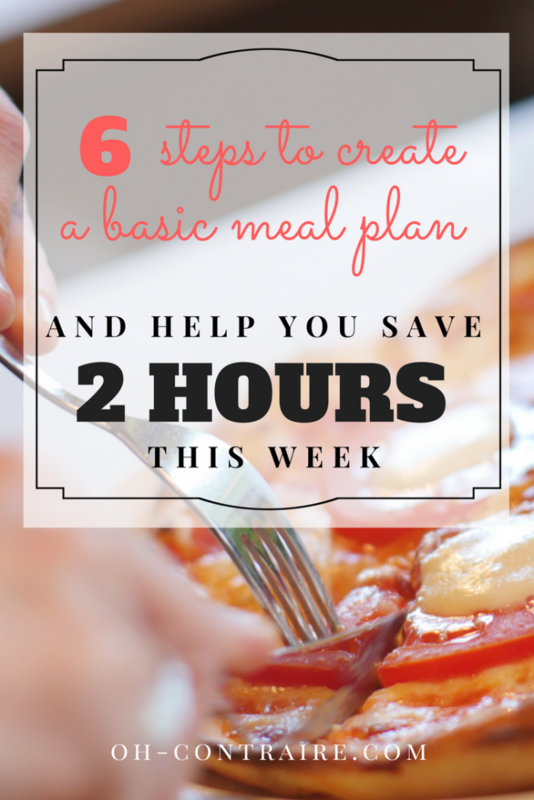 Meal Planning or how to save 2 hours per week! Am I the only one to be bored with the whole process of going grocery shopping, grabbing bags of groceries from my car to the kitchen counter, then to the the right cupboard in the pantry, preparing food, cooking dinner, serving the whole family and while eating dinner doing a mental list with 3 eligible recipes for tomorrow? Let’s talk about meal planning, guys! When I had my first child Augustin, we used to live in France near Paris. I was working full time as a Project Manager for a French bank. I had dreams and hopes to feed my son with organic-only / home cooked / delicious and fancy super-healthy food. Soon enough, I discovered that 3 trips per weeks to get the freshest vegetables and fruits from the organic and expensive local store were bringing an indecent amount of additional stress in my life as a young working mom. And that’s without even mentioning the hours of meal prep and cooking! For years I kept on doing my best, worked hard for my family, chopped and cooked. Meal planning seemed like a distant and peculiar tool at that time. Almost like something that would confine me, a tool that would put my spontaneity in the kitchen to its end. 10 years later with 4 kids now I realize how I should have tried meal planning sooner. Our reality as moms today has a singular characteristic which is the lack of time. With this in mind, what is our own unique and personal need when it comes to feeding our family? Is is to provide spontaneous / organic-only / home cooked / delicious and super-healthy fancy meals? Or is our need to be able to deal with the whole planning/shopping/preparing/cooking/serving meals in a faster way? To enjoy more quality time with our family? Well, I don’t know about you, but I think 136 min. per week qualifies for a shocking waste of time!! I needed a plan. The feeling of having no time to spend in a long and complicated meal planning session almost overwhelmed me. I wanted something simple. Something fast. I was ready to renounce to my “spontaneous quest of non-planning the family meals” only if it could save me a LOT of time. Think about your usual weekly schedule. Now define the right day and time when you’ll do your 20 minutes-Meal-Planning Session once a week. PRO tip: define plan A (for example, after the family breakfast on Saturdays morning) and a plan B (if something unexpectedly came along on Sat. mornings, you’ll do it on Sunday evening after the family dinner) to get you covered. On the specific day and time when the Meal Planning Session is planned, begin by opening your own calendar. Discuss with your husband about the incoming week. Depending on your activities, appointments and work schedules, you may prefer to choose a very basic recipe on Wednesday when your husband is out or if you had a difficult meeting planned late this day… Or maybe you’ll plan a fancier family dinner on Wednesday which is going to be a usual day with no specific stress. Psst … you can download my printable of a Meal Plan & Grocery List! While some other families are breakfast lovers and will plan what they’re going to eat for breakfast each day as well. Some stay-at-home moms would benefit from planning diners but also lunches for themselves and their pre-schoolers. As for me, I plan dinners for weekdays, lunch and dinner for the weekends, in addition to the lunches, I prepare for the kids each day to bring to school. As you see, it all depends on your own and unique family needs and usual schedule. or you didn’t match the chosen recipes with your actual grocery list for the week. Do a mental check of the aisles of your usual grocery store to check if you’re missing something that should be added to your Grocery List this week. Paper Toilet, anyone? You could also go one step further and create what I call a “Permanent Shopping List”. My “Permanent Shopping List” is a document that allows me to do a mental check of all the categories of products I usually miss while creating my Grocery List for the week. I mean… apples, hommos and nuts for snacks, diapers for my baby D., toilet paper, everything related to breakfast, bin bags, detergent and the products I need to clean the house. Everything I need to have at hand at any time in our busy family life, that’s is. In summary, a “Permanent Shopping List” is a great tool, a sort of source of inspiration, from which you choose products you need to purchase this week. But if you’re creating your Meal Plan for the first time, keep it simple: stick to a quick mental check of the aisles of your usual grocery store. You’ll create your Permanent Shopping during another Meal Planning Session. You did it! You now have a game plan for the week that will save hours of your precious time. No more What-should-I-cook-for-dinner struggles at the end of your busy day. You’re the new PRO at meal planning. Yeah!! Ok, let’s wrap up everything, here. While giving a try to this whole process for your own home, there is an invaluable benefit to taking a step back. 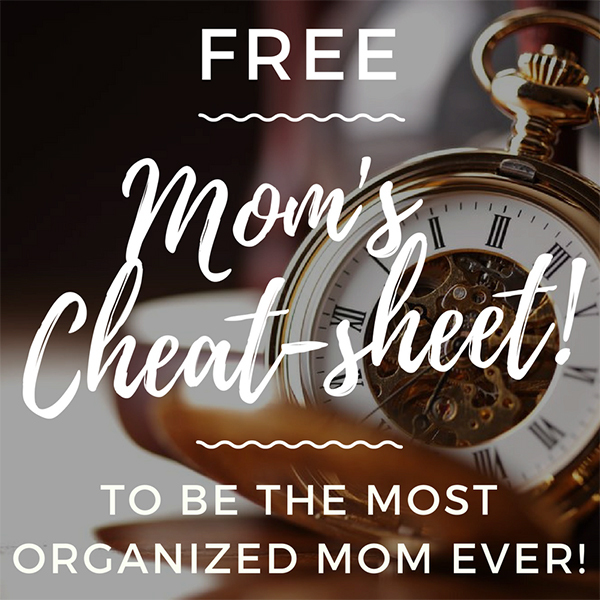 As a Coach for Moms, it is my belief that we really need to think about our own unique personal need when it comes to implementing anything. My recommandation for you? 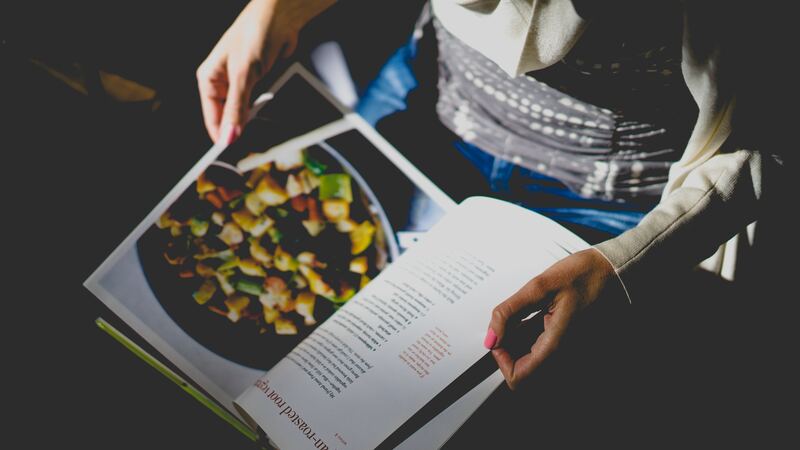 Give a try to the 6 basic steps meal planning process… and don’t be afraid to twist and change any of the steps to perfectly fit your own needs. There are a million ways to do a good Meal Plan. Find your own – or ask for my help – and enjoy your brand new 2 hours! I can’t wait for your comments on this!